Generic Competition On the Way for EpiPen – Could Nonprescription Be Next? L’Oreal has an NDA Approved Sunscreen? Add an OTC Ingredient to an Approved Rx Product and Create a New Prescription Product? Can a Nonprescription Drug Be Combined with an OTC Medical Device Without an NDA? How do I Enhance my Current Nonprescription Drug? For an electronic copy of this paper, click here. 1. Generic Competition On the Way for EpiPen – Could Nonprescription Be Next? In a 2007 acquisition of products from Merck, Mylan found themselves holding the NDA for EpiPen®. Approved in 1987, the epinephrine-containing auto injector for food, allergy, and bee-sting emergencies was earning around $200 million in revenue when Mylan became the sponsor. It is reported that Mylan actually considered sale of the franchise. However, Mylan chose to invest in marketing the product to parents of at-risk children and since then, revenues have grown to over $1 billion. As of this writing there are no generic versions of EpiPen® and the Orange Book lists multiple patents expiring in 2025. However, Teva settled a lawsuit with Mylan in 2012, which may give FDA the go-ahead to approve their auto-injector version (if approvable). In 2013, Sanofi launched a similar product known as Auvi-Q® (approved via the 505(b)(2) pathway), but had only captured around 10% of market share by early 2015. Mylan stated that their brand equity would stand up to competition, and has thus far been correct. So, here’s the wildcard: FDA is considering an expanded role for Rx-to-OTC switches through their Nonprescription Drug Safe Use Regulatory Expansion (NSURE). In fact, specific conditions have been identified by FDA as promising. These include chronic conditions like high blood pressure, high cholesterol, migraine headaches, and asthma management. Emphasis added. It should be noted that asthma management is not an approved indication of the EpiPen®, although asthmatics are not a contraindicated population. It is interesting to note that while widely prescribed, many forms of insulin and syringes are currently available to consumers as nonprescription products. Also, on August 10, 2016, FDA announced the unusual step of drafting Drug Facts Labeling and conducting label comprehension studies to encourage the Rx-to-OTC switch of naloxone, an auto-injector product for self-injection, and a nasal spray formulation (indicated for treatment of emergency opioid overdose). While only Mylan can file the NDA for an Rx-to-OTC switch, anyone can begin work on an ANDA (potentially a 505(b)(2) depending on required reviews) without yet filing, thus avoiding the need for a Paragraph IV submission. Simultaneous prosecution of a Citizen Petition requesting that FDA change the rules to allow such products to be marketed OTC may create new opportunity, but will also contribute to clarification of the existing opportunity. Such strategic planning stands to position someone to take a substantial portion of a billion plus dollar auto-injector epinephrine market. Presumably a viable Citizen Petition would include standard OTC consumer study results such as label comprehension (understanding the key label message), self-selection (choosing the right product), actual use (using according to labeled directions), and human factors (interacting with the product). The endpoints of consumer studies would need to demonstrate that a nonprescription version can be adequately labeled such that “The consumer can self-diagnose, self-treat, and self-manage the condition being treated. No health practitioner is needed for the safe and effective use of the product: 1) Drug has low potential for misuse and abuse; 2) Safety margin is such that the benefits of OTC availability outweigh the risks” and that none of the conditions that define a prescription drug are present. July 8, 2016: FDA approves Differin Gel 0.1% for over-the-counter use to treat acne. Another Rx-to-OTC Switch from GSK Consumer Healthcare to help allergy sufferers find more complete relief. The Flonase switch to OTC is notable in that it may be representative of other similar opportunities. Prescription blockbusters that have switched to OTC via the NDA pathway represent viable nonprescription ANDA candidates. To search out these ANDA opportunities take a look at FDA’s Over-the-Counter (OTC) Switch List, then check the patents in the Orange Book. Next look at FDA’s Approval History to see how many OTC generics are approved and be sure to to look for Tentative Approvals. The numbers of competing generics are surprisingly low. While prescription versions of several Rx-to-OTC products remain, these were generally the subjects of partial Rx-to-OTC switches not full or direct Rx-to-OTC switches. While the Federal Food, Drug, and Cosmetic Act (FDCA) does not permit both Rx and OTC versions of a drug to be marketed simultaneously, this does not apply to different dosage forms, strengths, indications, etc. It appears that L’Oreal may show us how to win by winning, or win by losing. On July 21, 2006, L’Oreal received the first of four NDA approvals for sunscreens and moisturizers containing ecamsule. Anthelios SX® (NDA 021502) contains three active ingredients: avobenzone, octocrylene and ecamsule. While avobenzone, and octocrylene are OTC monograph ingredients (21 CFR 352), ecamsule was a new molecular entity in the US. Marketed since 1993 in Europe, approved in 1994 in Canada, and in 1995 in Australia, ecamsule has been cited as one of the best and most expensive UV protectants on the market. Apparently hoping for more flexibility in the development of formulations containing ecamsule, in 2007 L’Oreal filed a Time & Extent Application (TEA), seeking monograph status for the ingredient. According to the latest from FDA, the TEA will probably not be approved. Alas, L’Oreal USA could end up being the only legal marketer of a nonprescription UV protectant containing ecamsule in the US (at least until the approval of generics). 4. Add an OTC Ingredient to an Approved Rx Product and Create a New Prescription Product? In the age of handheld devices, eCTD submissions and biosimilars, it can be easy to overlook the simplicity and abundance of old-school OTC active ingredients ripe for development in combination with prescription products. One needs to go no further than FDA’s Approval History and type in “aspirin” to find a multitude of examples (aspirin/oxycodone, aspirin/dipyridamole). Benzoyl peroxide (Bp) is another example (Bp/clindamycin, Bp/erythromycin, Bp/adapalene). Interestingly, as this paper was being written, FDA announced the following: The U.S. Food and Drug Administration today approved Differin Gel 0.1% (adapalene), a once-daily topical gel for the over-the-counter (OTC) treatment of acne. For that matter, combinations of OTC and OTC ingredients may yield lucrative prescription drug opportunities. Case in point, what do you get when you combine these three OTC Final Monograph digestive aids (21 CFR 310.545): amylase, lipase and protease? Prescription only Creon® (pancrelipase) delayed-release capsules for the treatment of exocrine pancreatic insufficiency due to cystic fibrosis or other conditions of course. The NDA for Creon® was originally submitted by Belgium-based Solvay Pharmaceuticals and approved in 2009. Abbvie (then Abbott) acquired Solvay in 2010. Abbvie’s 2015 sales of Creon® hit $632 million. FDA’s alphabetical list of OTC medications is comprised of 43 pages with about 40 entries each. There are a number of duplicates and the list includes NGRASE as well as GRASE medications, not to mention those in which determinations have yet to be made. However, the point that Creon makes is this: many common everyday OTC ingredients may be substantially underperforming relative to their true potential. 5. Can a Nonprescription Drug Be Combined with an OTC Medical Device Without an NDA? Nonprescription drug developers who are not in the medical device business (or vice versa) might do well to reconsider. While there is always the possibility that a nonprescription drug/medical device combination will require NDA or PMA review, FDA charges nothing for the submission of a Request for Designation (RFD) to the Office of Combination Products for a determination as to which Center (CDRH or CDER) should review the product (in fact, as this paper was being written, FDA announced a pilot program to include a Pre-RFD). There are also other pre-submission options (Device Click Here) (Drug Click Here) within both CDRH and CDER to help with these determinations. If your proposed combination is designated a device, a 510(k) may be all that’s needed for clearance to market. 510(k) costs and preparation/review times are substantially less than those associated with NDAs. Consider your line extension universe from a simplistic end-user perspective. Do you market an OTC anti-itch or antifungal medication? Can either be added to a disposable insole? While, such approaches may seem overly simplistic, they can be revolutionary. Lip balm was reportedly invented in the 1880s, but wasn’t converted to sticks until at least 1912. Today, over 100 years later this simple combination of balm and delivery device (ChapStick®) continues to deliver relief and convenience to millions, and remains a cash cow for Pfizer. For that matter, Band-Aid® brand launched in 1920. It then took over 40 years after the discovery of antibiotics for J&J to introduce the first ever adhesive bandage with pre-applied antibiotic ointment. By 2015, this simple innovation was part of a nearly billion-dollar category of which J&J held a 44.8% market share. More contemporary examples include MedTrade Products Aquanove® Super-Absorbent Dressing, a combination of chiltosan, a GRAS food ingredient and a structural material to produce a dressing for wounds. EuroMed Inc. SureSkin® Silver Bandage occlusive wound dressing is a combination of a Class I medical device and Final Monograph OTC drug (21 CFR 310.545), as is Medline’s Curad® Antibacterial Bandage. 6. 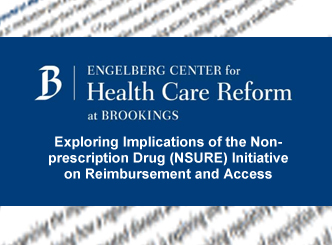 How do I Enhance my Current Nonprescription Drug? An ever-present opportunity to enhance OTC drug products is through combinations with other OTC ingredients, whether via the monograph or NDA pathway. One example of a monograph combination is lidocaine/menthol patch. For and NDA example, look once again at Aleve™. On January 16, 2014, Aleve™ PM (naproxen sodium 220 mg and diphenhydramine hydrochloride 25 mg NDA 20-352) was approved for the relief of occasional sleeplessness when associated with minor aches and pains. For migraine headaches, 17% of pharmacists recommended a combination product with aspirin, acetaminophen, and caffeine. In the cough and cold category, combination products are recommended when patients complain of more than one symptom. So when patients complained of congestion only, however, pharmacists recommended a single-entity decongestant the majority of the time (79%). In the allergic rhinitis category, pharmacists reported using several different products, with second-generation antihistamines the most common recommendation (63%). Pharmacists always recommended combination decongestants and antihistamines for patients requiring multisymptom allergy and hay fever products, however. Pharmacists also recommended those products for patients complaining of ophthalmic allergies only. The survey findings illustrate that pharmacists recommend a range of OTC single-ingredient and combination medicines and provide helpful guidance and counseling to consumers. Opportunities abound for enhancement of your existing nonprescription drug, Rx-to-OTC switch, new nonprescription drugs or combination drug and delivery device. Whether strategic life-cycle management concerns, regulatory submissions or other drug/device regulatory needs, contact PDG today for help devising or implementing the regulatory strategy that’s best for your company. Charles Jaap is Vice-President of Operations and Business Development for PDG®, a global pharmaceutical and medical device consultant with extensive experience in the strategic development of drug products and medical devices. Please feel free to contact us for more information. The opinions and statements in this paper are solely those of Charles Jaap and do not necessarily reflect those of PDG®. Koons, C., Langreth R. How Marketing Turned the EpiPen into a Billion-Dollar Business. Bloomberg Businessweek. September 23, 2015. Orange Book: Approved Drug Products with Therapeutic Equivalence Evaluations as accessed at www.fda.gov on July 8, 2016. Public Hearing: Using Innovative Technologies and other Conditions of Safe Use to Expand Which Drug Products Can Be Considered Nonprescription. Docket No. FDA–2012–N–0171. March 23, 2012. Theresa M. Michele, M.D. Director, Division of Nonprescription Drug Products Office of New Drugs Center for Drug Evaluation and Research, FDA. Regulatory Approaches for Prescription to OTC Switch. July 2, 2015. CDR Yoon Kong, Pharm.D. USPHS Division of Nonprescription Drug Products Center for Drug Evaluation and Research, FDA. Regulation of Nonprescription Drug Products. December 2, 2014. Prescription to Over-the-Counter (OTC) Switch List. As accessed at www.fda.gov on August 18, 2016. FDA approves Differin Gel 0.1% for over-the-counter use to treat acne. As accessed at www.fda.gov on August 18, 2016. Supplement Approval Letter NDA 022051/S-013. As accessed at www.fda.gov on August 18, 2016. Wilkes D. Launching Flonase Allergy Relief lifts GSK in 2015. OTC Toolbox. February 4, 2016. Drugs@FDA as accessed at www.fda.gov on July 8, 2016. NDA 021502 Medical Officer’s Review. Griffin M. Reviewed by Nazario B. What’s the Best Sunscreen? As accessed on www.webmd on July 8, 2016. Reddi, S. European Sunscreen Roadblock on U.S. Beaches. Wall Street Journal. May 27, 2013. Shath N. Formulating Sunscreens with New TEA Ingredients. Happi. October 2014. FDA approves Differin Gel 0.1% for over-the-counter use to treat acne; First retinoid approved for over-the-counter use as accessed at www.fda.gov on July 8, 2016. Abbott Completes Acquisition of Solvay Pharmaceuticals. PR Newswire. Feb 16, 2010. AbbVie’s key product revenues in 2014 and 2015 as accessed at www.statista.com on July 8, 2016. Making Continuous Improvements in the Combination Products Program: The Pre-RFD Process. Posted on August 11, 2016 by FDA Voice. ChapStick as accessed at www.wikipedia.com on July 8, 2016. A History of BAND-AID® Brand Innovation as accessed on www.bandaid.com on July 8, 2016. Bomey N. Pop Culture Strategy Fuels Band-Aid Brand. USA Today. November 30, 2015. Alevel label as accessed at www.fda.gov on August 18, 2016. Label: Lidopatch Pain Relief. As accessed at www.dailymed.nlm.nih.gov on August 18, 2016. Jay Sirois, Ph.D. and Stefanie Ferreri, Pharm D. BCACP, CDE, FAPhA. OTC combination products in pharmacist-assisted self-care. As accessed at www.pharmacist.com on August 18, 2016.